In order to create a good company, you need to surround yourself with people who are beyond just gifted individuals. A successful company is more than a CEO, CFO and COO. It requires a dedicated team that shares the same attitude, and is willing, above everything else, to work in the same direction, with the same vision and passion. You can bring “experts” to your team, but that doesn’t necessarily mean that they’ll help you improve your business. Why? Because they might not end up functioning as group, as well as you hoped for. To be efficient as a group, you need to stimulate your employees to adopt extremely fluid communication methods. If everyone is in sync and on the same message,it will be a lot easier for you to delegate tasks and make your colleagues and employees understand the importance of their position in your company. Although this all sounds fine and dandy in theory, in practice it tends to get a bit complicated. 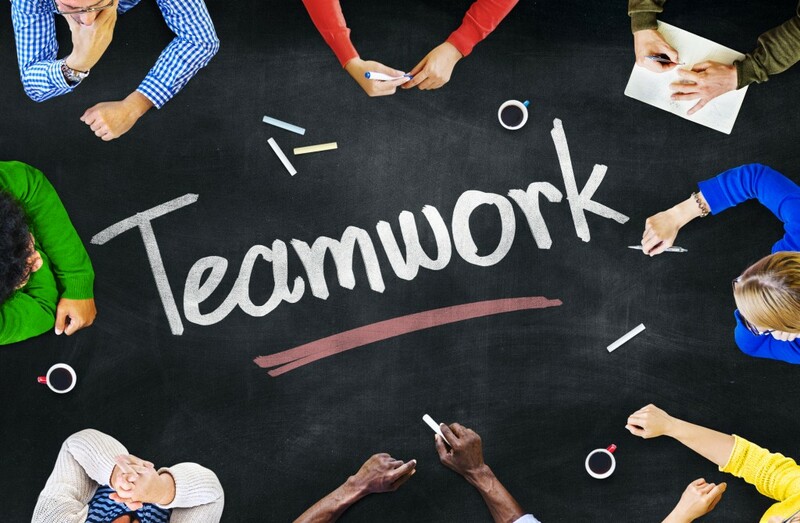 “Great teamwork” is a fragile concept that is dependable on all sorts of different things. In order to engage your employee and make them function on a desired level as a group, you need to focus on all the factors around them. Even the smallest oversight when it comes to communication and motivation, could end up costing you far more than you can currently imagine. In order to help you keep high moral at the office, I have constructed a list of 4 most common things that you need to avoid if you want to see your employees function well as a team. To have “good communication” at your firm requires that you implement far more than just a two-way conversation system. You need to truly listen to what others are saying or requesting and teach them how to communicate updates as soon as they are available. Same goes for problems. Good communication is not a practice that means that you have to force your employee to constantly keep blabbing about everything. No. Good communication is all about the quality of information and knowing how to say more with less. When I was younger, I used to work for this one firm that made us attend these long and boring meetings almost every day. Although we were constantly talking about work, the quality of information shared on these group sessions was so bad, that eventually we all felt like the company was wasting our time for no apparent reason. After a while, we all got frustrated with the lack of sensible communication and information. Our work started to suffer, and our general attitude towards the firm itself was going down faster than cold beer on a warm sunny day. Good communication is the cornerstone of every successful business. Without it, your company is destined to fail. Cutting off any type of communication or loading your coworkers ears with constant and highly unnecessary information, immediately sends a red flag to other team members that something is not right. It is important to encourage rivalry at the office, but only to some extent. Working effectively as part of a team is incredibly important for output quality, morale, and retention. Thus, it is of great value for you that your workers feel like they’re not always competing with one another. My professional experience involving teamwork has primarily been within software development, but most of the takeaway lessons aren’t limited to that branch. Based on my experience, good teamwork relies both on individual autonomy and capability, and ability to let the shared purpose be the ultimate leader. If you let your employees think that you’re only evaluating them on an individual level, you’ll create a malicious atmosphere, and trust me, you don’t want that. You cannot just have a system where your employees feel like they’re on their own. You need to make the final output of your work a clear result of your collective effort. Without synergy, there is no solid foundation on which you can build a good and lasting team. Giving one employee an advantage over the others will certainly have a negative effect on the atmosphere at your office, and it will unavoidably make your other workers feel like they don’t matter as much as they think they do. I remember working at this one firm which was overflowing with friends and family members. Sure hiring your relatives comes in a form of cheap labor, unconditional loyalty and built-in familiarity with what your employees can or cannot do, but in most cases it also means that they’ll enjoy special treatment from their managers. No matter how many mistakes my team mates have made, they’ve always gotten away with it, because their boss is their friend/relative. You can’t easily fire your friends and family without burning some bridges. Even if they burn the office to the ground, I, as their CEO, would have big issues on firing any of them. When your friends and family work for you, like it or not, you got to treat them differently than others. This kind of behavior undermines the other people on the team who are interested in learning new skills, participating in the team’s projects, or providing new insights or ideas. Favoritism creates resentment, and as we all know it – resentment spreads like a cancer at the office. If you’re a person who only picks his employees on work related skills, sooner or later you’ll find yourself in situation where you have to go to extreme lengths in order to form a normal and lean work atmosphere. Apart from skills, it is of great importance that you assemble your team on cultural characteristics as well. You don’t want to spent hours and hours in your office talking to people who seem like they’re from a different planet. Teammates who can’t collectively decide on approach, or who argue about division of labor, are often unable to get anything done. Personality clashes, when left undressed, also have the potential to lower morale and make all members of a certain team completely miserable. We have a specific system when it comes to hiring people. We are not just interested in signing workers. Before everything else, we want to surround ourselves with good people. This is why we rate our future employees on cultural scale as well. For example: If a certain person gets 10 on his work related skills, and 7 on his cultural ones – he or she won’t make the cut. Why? Because his attitude will be disruptive to our collective’s atmosphere, and that’s not good for us and him, as well. You can teach a person how to do a certain job, but you can never teach him how to be a part of the team. If he doesn’t have a sense of his surrounding, he’ll never be a good fit to your crew. Thank you for reading this post. I hope these tips will help you focus on all the little details that could harm your collective.